2017 iPhone users can select Google Assistant as their default assistant replacing Siri? A report published the other day claims that Apple and Google are working together on a way to allow iPhone users to select Google Assistant as their default virtual assistant, replacing Siri in that capacity. The way Google Assistant currently works on iOS is that the app is opened up like any other third party app,. 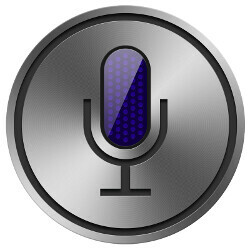 The user then requests the information that he/she is seeking from Google Assistant,.and then closes the app when done. But if the source of this information is correct, iOS users who prefer Google Assistant over Siri will be able to make the change allowing Google to become the default virtual assistant on the 2017 iPhone models That includes the Apple iPhone 7s, Apple iPhone 7s Plus and the Apple iPhone 8. "Seasoned" iPhone users might recall that when Apple's iconic smartphone first launched, Google Maps was the native mapping application on the phone. The source did not reveal whether Apple's plan for Google Assistant would be similar to that. Those in the know compare the use of Google Assistant on iOS to the implementation of Amazon's AI assistant Alexa on certain Huawei smartphones. Users of the HTC U11 handset in the U.S., U.K. and Germany will soon have the opportunity to use Alexa as a personal assistant on the phone, along with Google Assistant. For a number of reasons, this is one rumor that is hard to believe. With the smart speaker becoming the breakout tech item of the year, every company involved in manufacturing such a device is using it to promote its own personal assistant. Amazon has Alexa, which is starting to make its way onto Android handsets. Google has Google Assistant, Microsoft's Harman Kardon Invoke features Cortana, the Apple HomePod uses Siri and Samsung is rumored to have a smart speaker in the works that would use Bixby. With so much competition in the personal assistant space, you would think that Apple would be doing everything in its power to keep Siri as the only personal assistant available to iPhone users by default. As a result, we would like to see some more verification before taking this rumor more seriously. I really don't see this happening. However Siri is the worst AI Assistant right now. Even Cortana is better than Siri. If this is true, then what is stopping Apple from allowing Amazon's Alexa, or Cortana as well. That would nice if Apple would allow other AI Assistants​ as well. Right now Google's Android allows Alexa or Cortana on any Android smartphone, or tablet. But Android is built to allow things like this. Whereas iOS is not. I'd argue Bixby is the worst AI assistant right now. Even many of the most rabid S8/S8+ fanboys are so embarrassed by Bixby that their subconscious minds make them forget it exists. To just say BS is meaningless. How about use words like adults use to describe in detail what they actually mean. You should try it sometime piyath. Of course you would, tedkord. Talk when Samsung allows you to remap Bixby button to Google Assistant. Anything to badmouth Tedkord and further fuel your blatant love for him, eh Mxy? ;) Did ya finally admit it's you? Or are you still playing the "I'm not Mxy" card? I'm not playing anything. Tedkord set himself up with that comment. I don't know man.... I've been arguing for Mxyzptlk for a long time and you nag just like him. If you're not him then just be warned, he was a whiny little b*tch and really pissed a lot of people off, you don't want to be like him. It is Mxy. Why else did he join and already have a personal vendetta against Tedkord and Meanestgenius? He isn't fooling anyone. Lol, I know it's him. I was just using it as an opportunity to indirectly call him a whiny little b*tch. He admit he is mxyzptlk here- posted on26 May 2017, 19:36in response to #59ReportReply 91. Flash (Posts: 249; Member since: 19 May 2017) I never said I wasn't Mxy. Here is the article that he say it- http://www.phonearena.com/news/Apple-releases-iOS-10.3.2-update-with-bug-fixes-security-improvements-and-a-severe-battery-drain_id94441/comments/page/4 He always complain that people attack him, but he always attack people like tedkord and make excuse to try and validate his attack. Funny thing is, he did say he wasn't Mxy on a past article. Huh....we knew it all along! I think he get selective amnesia. Or he think no one see the article I link. No, he just lies a lot. I also do not think he mean to admit it, because he still deny in some article that he is mxyzptlk. I think by the time he realize what he post, it was too late for him to change it. I never said I wasn't Gandhi; that means I'm him? I do not care what you never said. He is mxyzptlk. Many already know this. You can be blind to truth. Is your choice. It doesn't matter to me who he is or isn't, I'm just saying your logic is flawed: if you never said you're Hittler, it doesn't automatically mean you are Hitler. I do not care what you think or say about my logic. You do not understand the context that he say what he said. You erroneously say my logic is flaw because you did not read the link that accompany what I copy/paste, or read his previous comment on various article. That is obvious. I have never heard you denying you weren't Stalin so you must be Stalin; is it true? Lol lol lol. You just prove me right. Thank you. You are dismiss now. You have been using a logic fallacy; and I'm going to stop now, because the subject means nothing to me: if you want to be stupid, be stupid, what do I care?! You did not understand context because you did not read the accompanying article I link or see his post elsewhere. You make yourself look stupid and now you are mad because I point it out. You only respond to my comment because your fellow iTroll was prove to have many fake account, and you make yourself look like fool in the process. You still speak foolish because you made yourself look like fool when you defend your fellow iTroll. Let it go. You are dismiss. Maybe in your twisted mind. Nobody accused you of being Gandhi. That's the difference. He admitted it. The only thing I admit to is being awesome.